We unleash massive amounts of horsepower on our jet boats with awesome grunt! 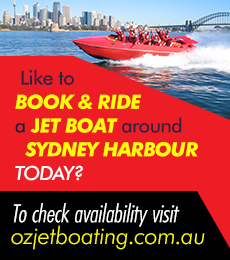 The jet boats hold 23 people each and have a power to weight ratio that gives us the ability to provide the most exhilarating ride on Sydney Harbour! Our boats are well maintained by expert engineers. Unlike conventional boats, jet boats utilise an internal propeller (impeller) to provide propulsion. Water is drawn in through an inlet in the bottom of the boat, then driven out through a nozzle at the rear with great force. Turning is accomplished by moving the nozzle left to right. Breaking and reverse are achieved by using a deflector, similar to the reverse thrust deflector on a jet aircraft. 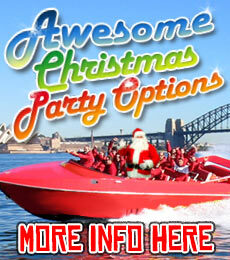 Our Sydney Jet boats are state-of-the-art and are designed for your comfort and FUN!